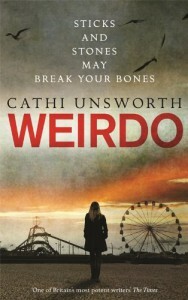 This is the third book I have read by Cathi Unsworth and Weirdo is even more page-turner-y than The Singer and Bad Penny Blues. I raced through the second half of the book as the story became more tense and exciting. 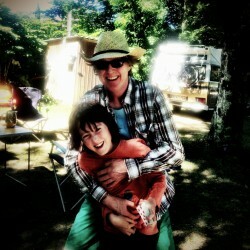 In common with both The Singer and Bad Penny Blues, Cathi Unsworth excels at creating a strong sense of place. In the case of Weirdo, this is the Norfolk seaside resort Great Yarmouth (here called Ernemouth). There are two interlinked narrative threads running concurrently, one set in 1983, and the other in 2003. In common with a lot of Victorian and Edwardian English seaside resorts, Great Yarmouth is a tawdry, deprived and slightly unsettling place. This atmosphere is perfectly evoked, along with a bit of local history. The less you know about the actual story, the better, suffice it to say that the tale revolves around a horrific murder and a reinvestigation following new DNA evidence. Some of the narrative takes place at the local school, and the music and fashions of the early 80s are perfectly evoked, along with the dynamics at the school and the different families.